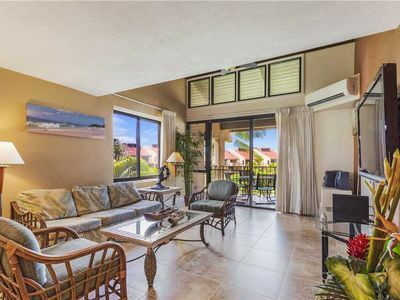 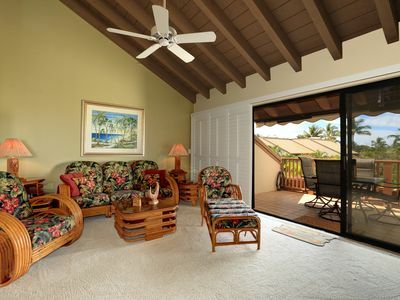 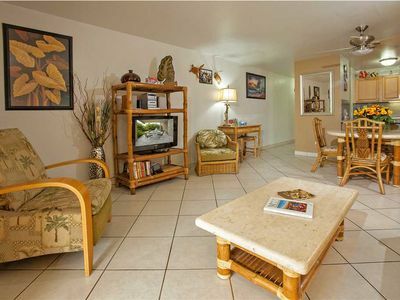 Tropical touches thrive in this casual 1,188 sq ft villa, recently upgraded with rattan furnishings and new appliances. 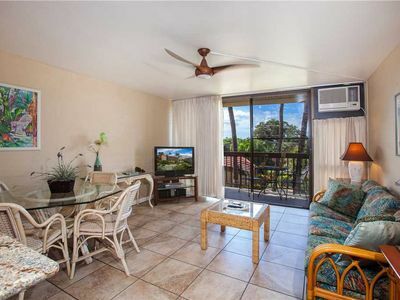 Spacious unit with a bedroom and loft that’s perfect for families or friends traveling together. 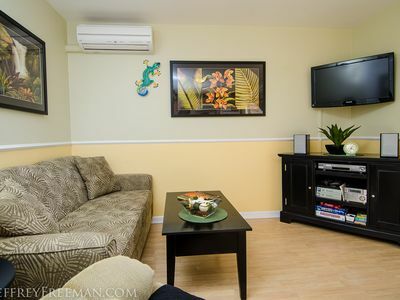 You'll appreciate the convenience of the home office area complete with computer and printer! 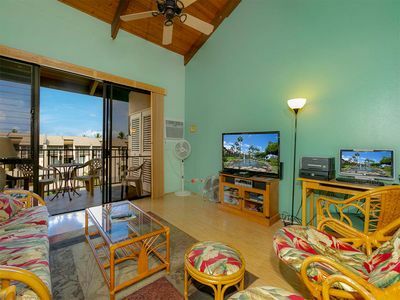 Relax after a long day of play in your air conditioned living room watching your 50" HD TV with digital cable HD box. 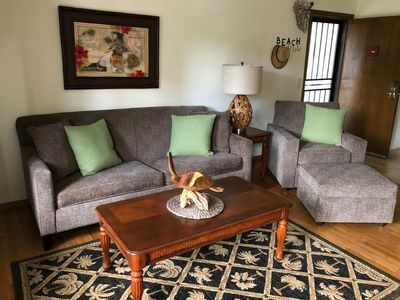 More amenities include air conditioning in the bedrooms, new mattresses on all beds, ceiling fans, washer/dryer, WiFi, flat screen TVs, DVD and separate living area. 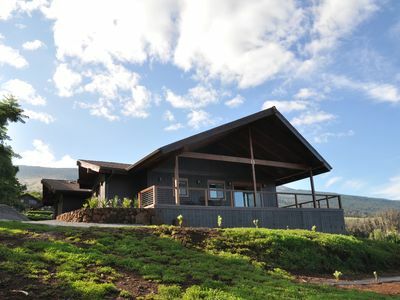 Sleeps 6 in 1 Queen, 2 Twins and 1 Sofa bed. 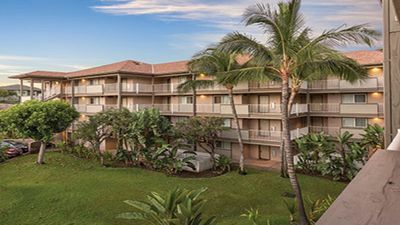 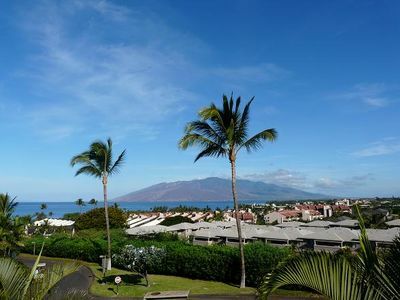 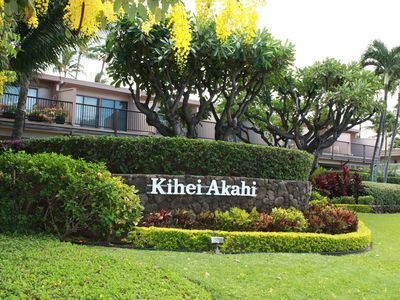 On 15 tropical acres across from Kamaole Beach Park III, our suites feature full kitchens and washers/dryers. 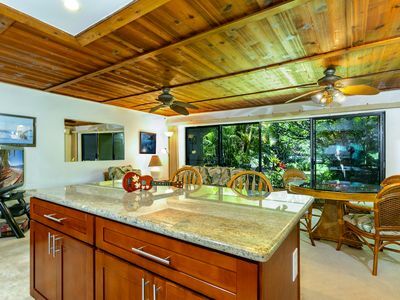 Stay active with tennis courts, swimming pool, jet spas, barbecue grills and weekly Mai Tai party. 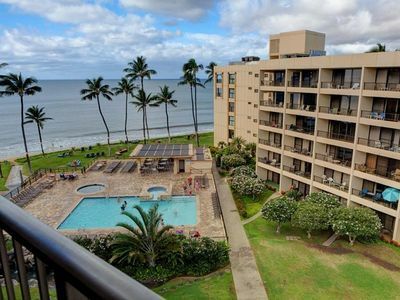 Beautiful 'Island Style' Ocean Front Condo! 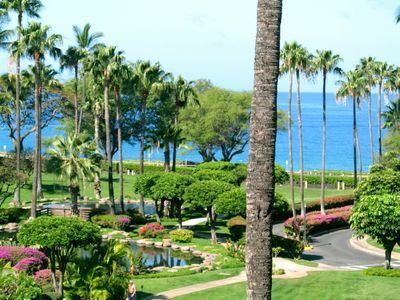 Tropical and lush Kihei Resort. 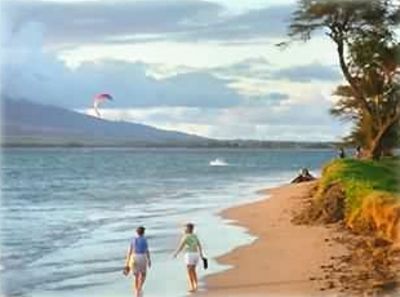 Short stroll to the beach. 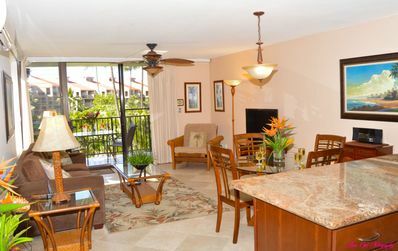 CLEAN PROPERTY! 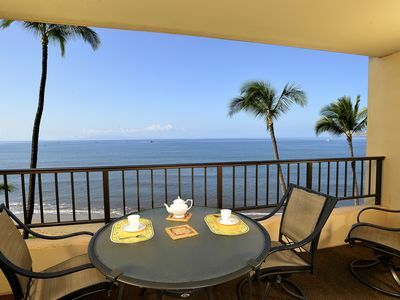 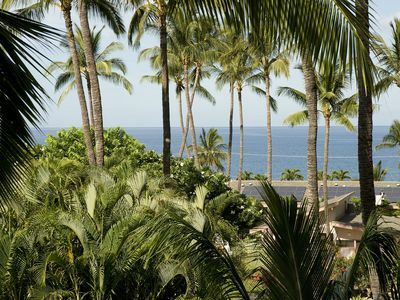 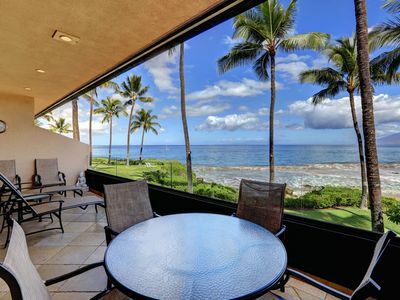 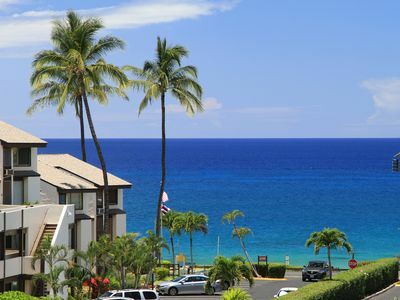 Your Hawaiian Beach Get Away, Steps From Great Beach!